Windows have more than one job: they are not only to let the natural light into your rooms but they play an important role in your house’s energy efficiency. 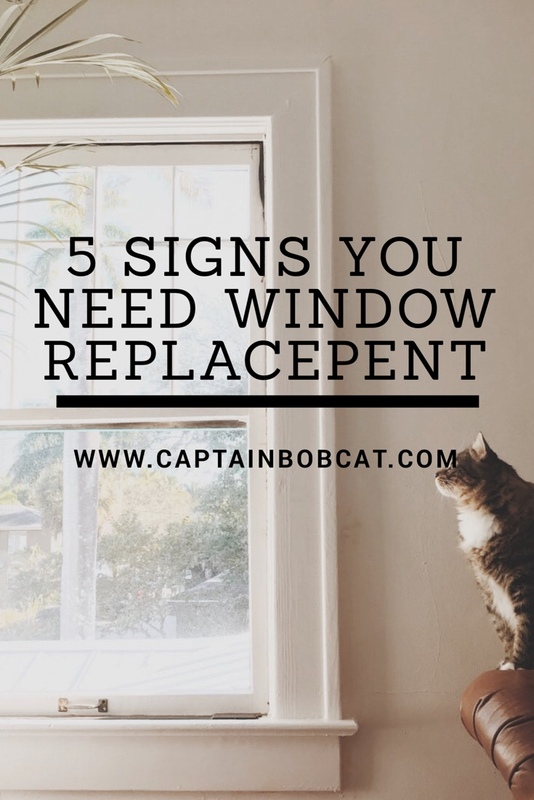 If the windows are too old, tired, or damaged, they might not work efficient enough and you’re loosing both energy and money. Eventually it can become a security issue too, so it’s definitely worth to check them every now and then and make the necessary repair works done. Wether you will need full or partial window replacement, replacement windows can save you some money. Instead of buying newly constructed windows, you get the same energy saving benefits but pay much less. But how do you know when is it time to get your windows replaced? If you notice condensation in between the two panes of glass, the window definitely need to be replaced. (This happened to us lately and it was because of a faulty installation of the previous owner!) This means, that the windows’ seals have failed. This is another obvious sign, that the window isn’t functioning well. Also, draughts will get worse over time without a permanent solution. Old windows are usually single-paned and, but new windows are highly efficient and designed to help prevent air transferring in and out of your home. Like decaying window frames. All the built up moisture damage can be the reason for this, apart from the age of the wood. And if they leak too, like letting moisture down or even rainwater in – that’s really bad state. For no apparent reasons. If you feel colder temperature around the windows then the rest of the room, that could be a good indication. If you need to use extra physical effort to open a window, or it won’t open fully or properly, it’s time to get it fixed. It may also become a security issue, when the latches are too worn or even broken.